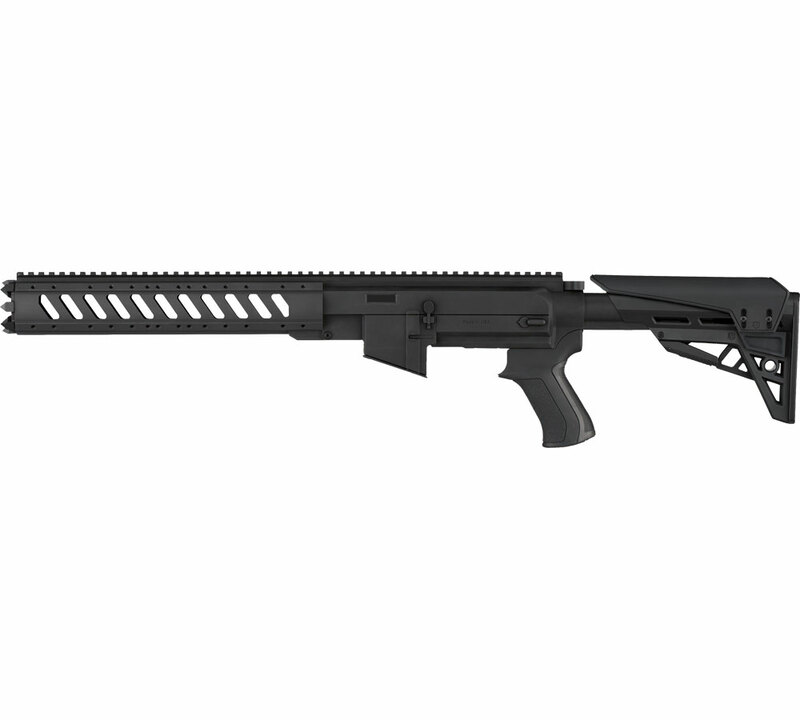 ATIs Ruger AR22 TactLite Stock system is made of polymer and aluminum. The aluminum components mount to the receiver for added support. This system has an aluminum 6sided forend and an aluminum 21 Picatinny rail able to mount accessories. This stock system features a TracLOCK System which eliminates horizontal and vertical movement of the stock on the buffer tube provides smooth secure adjustments and eliminates the need for secondary locking mechanisms. Included is a T2 style pistol grip which lowers the shooters hand to align finger with the trigger extended Scorpion material to reduce recoil and discomfort to the shooters hand and thumb and eliminates the felt punch of the recoil."